A lot of people are surprised when they find out that for eighteen years of my life, I happily ate gluten. Little did we know, however, the grainy breads and gluten filled cereals I so loved were slowly killing my intestines. This week is Coeliac Awareness week (13 - 20 March, 2013) and whilst I have covered my journey with coeliac disease and food intolerances before, I thought I would recap it again. You see, until the blood work came back positive - we never thought I had Coeliac Disease. I marched into that blood test telling everyone "This is going to be the one test in my life I fail - just watch!" and I felt like someone had smacked me hard in the stomach when my doctor opened the results and looked at me and said "actually... Kristy.. you do have the coeliac gene..". My doctor was as shocked as I - she had told me off for removing gluten from my diet months before as I was already too skinny and too sick. As it turns out, I did the right thing. Except for a brief period during puberty, I've always been slim. My Mum even used to pay me money to keep my weight at a certain level. When I was stressed, the weight would fall off me - and as I was battling with anxiety issues, my family and doctors thought that was the reason I suddenly began losing alot of weight. I lost my appetite, I was constantly sick, my stomach felt like it was full of acid, I carried a heat pack around on my stomach constantly - and I burned my stomach constantly. We didn't know what was going on. I went from a healthy girl to someone who was so sick, she didn't want to leave her bed. My family and doctors thought it was just stress and so did I. My hair started to fall out, I was constantly cold, despite my thinness my stomach looked 6 months pregnant, I couldn't walk around the block without feeling like I'd run a marathon. I had lost weight to the point where I look emaciated - and it scared everyone. But how can you gain weight when you're constantly sick and food makes you sicker? I'd had enough. One day, whilst on our way to go grocery shopping - I told my mum. "Mum, after my birthday, I want to stop eating gluten... I don't think it's a problem, but I'm frustrated and I want to make sure". My Mum told me under no circumstances was I allowed to give up gluten. She was scared. She saw how thin and unhappy her once healthy and happy daughter had become - and she was worried giving up gluten would see me get worse. A week later, I was still rolling around the floor in pain at night - I would spend every night curled up into "child's pose", heat pack tucked between my legs and my tummy - wishing that the pain would stop. My Mum turned to me whilst watching TV in the evening and said "Kristy, I will let you stop eating gluten - but we have to have a plan". So we started planning. Every gluten item I ate needed to have an alternative. Bread, pasta, crackers, snacks - everything. I had to show my Mum that I would continue trying to gain weight despite eliminating gluten - and I was so determined for relief that I did just that. A week after my 19th birthday, gluten went. I despised rice porridge, I ate disgusting bread that felt like bricks in my stomach - but suprisingly, I loved the pasta. But I was still hurting. Slowly we began to see glimpses of relief - but we also realised that gluten wasn't the only problem. We tracked everything I ate - from how much to how it was cooked to what I drank with my meals - and we also tracked my symptoms. I loathed having to be a slave to my "food diary" but I knew it was the only way we could find answers. We soon saw a pattern. I could be fine all morning eating my gluten free cereals with peanut butter and banana - but when it came to morning tea and I ate dried apricots, or lunch when I had tomato on my sandwich - there was a problem. Slowly we began compiling a list of "suspect" foods, based on the results of my food diary. One by one, those suspect foods were taken out for a week and then tested again once the week was over. One by one, we found that I also had multiple allergies. My doctors were previously stumped as to why I was feeling so ill, telling me "you have a serious problem Kristy - we just don't know what it is". Once we showed them my food diary, we all started to figure it out. The gluten had damaged my stomach to the point were it was incredibly sensitive. One doctor described it to me as "you know when you have a really sore open graze? It hurts as soon as you get soap in it or anything acidic - right? Think of your stomach this way - it's red raw". I was too thin for an endoscopy or colonoscopy to look any further, so we had to walk a different path. I was tested for lactose intolerance, had terrible allergy prick tests and felt like a human pin cushion with so many blood tests. We found that I couldn't eat gluten (of course), soy (unless it's a small amount of soy lecithin), sulphur, acidic foods (citrus, tomatoes, most berries, stone fruit etc), spicy foods (chilli, capsicum/bell peppers etc), pears (yes, the most hypo-allergenic fruit even makes me sick), celery, legumes, lentils, high fat foods (except thankfully nuts, nut butters and very small amounts of coconut). Don't worry, theres still foods I can eat. I was thankfully not lactose intolerant, I could eat gluten free oats and though my diet is restricted - it started to work! I finally had days where I wasn't sick and slowly, over time I've felt better. My IBS has improved, my digestion has improved, my vitamin and mineral absorption has improved - and I was finally able to gain weight! Throughout my gluten eating years, were there signs? I had weight loss, anemia, appetite loss, IBS and digestion problems - but they were all thought of either as stress issues or simply growing up. At one point in my life, we thought I was lactose intolerant as I was getting extremely ill - something that doctors think was actually a reaction to gluten. I also had terrible problems with hiccups and indegestion - daily hiccups - another sign of gluten intolerance and coeliac disease. Nearly 200,000 Australians are affected yet 80% of people don’t know they have the condition. It is simple to detect and easy to manage. As you can see, I had many of the symptoms - but no one could figure it out. If it wasn't for me researching and seeing gluten intolerance and/or coeliac disease as a potential cause - I could still be incredibly sick... or worse. My journey isn't your average one - so don't fret! I've unfortunately had a terrible experience, but hopefully if you've stumbled on this blog looking for answers yourself - or have coeliac disease as well - you are doing far better than I was. 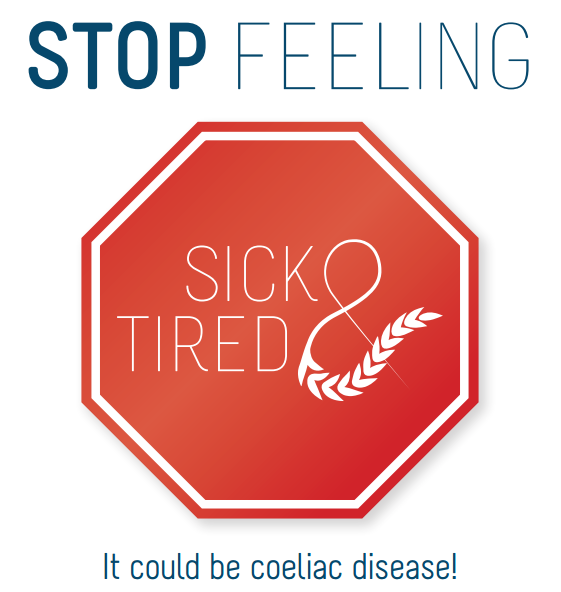 It's important that if you think you might have coeliac disease you see your doctor. Don't stop eating gluten (unlike me, but my doctor wouldn't test for coeliac disease until I started seeing the benefits of eliminating gluten) as it makes it much easier to discover if gluten is a problem for you. If you have the gene - that doesn't mean anything. My sister has one gene - but she was tested and has no adverse reaction to gluten. It's important that you discuss testing with your doctor and ensure that you receive a proper diagnosis. If you have been diagnosed with coeliac disease, see my tips for starting a gluten free diet. Gluten free diets aren't a fad. They're the difference between good health and poor health for some people. Would I recommend a gluten free diet to someone without a problem? Never. Go eat that damn gluten and enjoy it! So tell me, are you a coeliac? If not, do you have someone close to you who is? If anyone is up for the challenge it;s you! I'm glad you found it interesting! Coeliac disease is certainly a challenge - but definitely not the end of the world like many people think! An amazing post, very great to read and see that other people have such a similar journey. I love your blog, read daily and continue to gain inspiration from your recipes and positivity. My cousin has celiac disease so I know it's not easy! She too never felt better until she completely eliminated it from her body, unfortunately it took her many years to find out the problem. 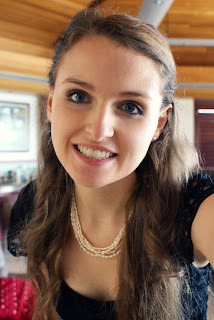 Thanks so much for your blog, I am setting up an appointment to finally take control of my health and see what is going on with my stomach/what possible food allergies I may have etc. I have finally decided that like you said you have to "accept that you are different". I can't be scared of the results, I need to focus on how much better I'll feel once I am eating what my body CAN eat. Thank you! You are so, so, welcome - I'm glad I could help you out! I really hope that your doctor can help you to find out that's going on and you start feeling better really soon! I would like to know how long does it takes for one to feel better once gluten is removed? It really depends on the individual situation. As I didn't know I was a coeliac for my entire life, I had a lot of damage to my stomach so it has taken quite a while for me to feel better - however I know others who felt better in just a month or two. Thanks again for your frankness that inspires others to keep seeking health. Definitely don't stop searching until you find the answers - you owe it to yourself and your body. Have you had a coeliac gene test or gluten antibody test at all? (If you're not eating gluten, you wouldn't be able to have the antibody test at the moment, but the gene test is super easy to do). One thing that surprised me was that my old doctors never ran full bloodwork - so until I found my current doctor (who is incredible) I never knew that I had a whole heap of other problems - like glandular fever/mono, vitamin b6 toxicity, etc etc. Thank you so much for sharing your story! I was diagnosed with Celiac Disease in May 2013. I always love reading other's stories because it always makes me feel encouraged knowing there are others like me! Thanks so much for taking the time to leave a comment! You are certainly not alone and if you ever need help with anything - or even just some fellow coeliac support, feel free to email me!